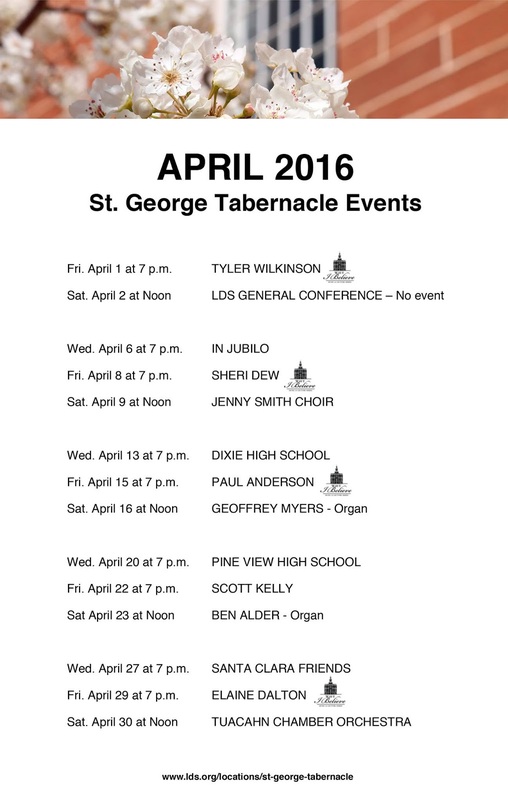 Every month there are free concerts and talks at the St. George Tabernacle. 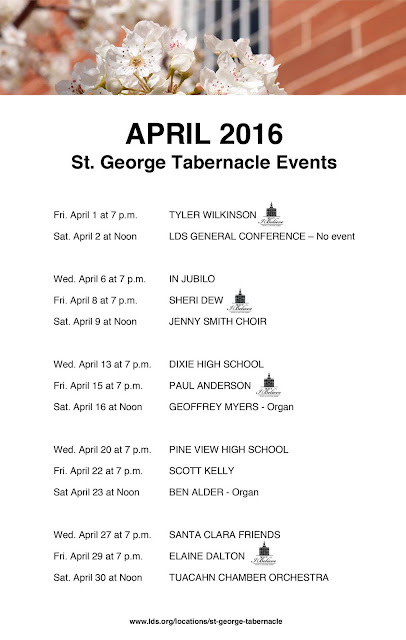 Here's a list of everything going on this month. I am definitely going to Sheri Dew and Elaine Dalton - anyone want to come with me?